Touch darkness and darkness touches you back. Or maybe not. Despite what Nic Pizzolatto and the casualty-filled finale of True Detective season two might imply, things aren’t so bad in the world. 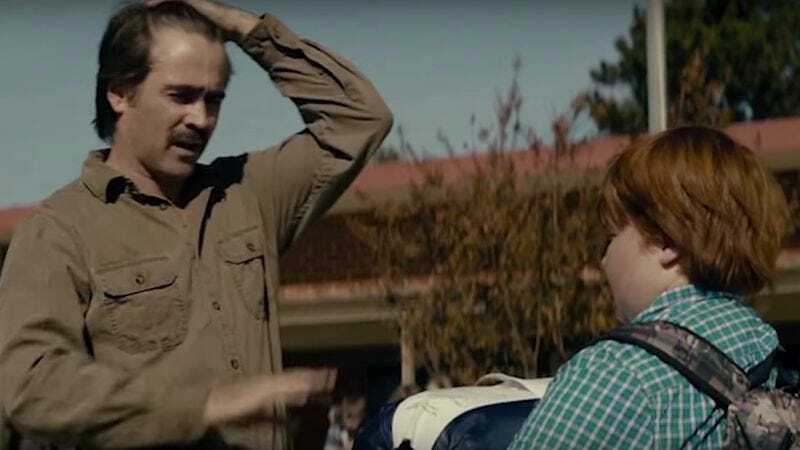 Life’s actually a sitcom, and True Detective could’ve exemplified that with a little reimagining. Fortunately, someone else did the work so Pizzolatto doesn’t have to spend an extra season sweetening the tone and now we have Velcoro & Sons, which was taped in front of a live studio audience. This season, Velcoro tries to level with his son about zany daddy issues. But whoa! Who expected this much sass and this many combustible one-liners in one room? There’s also a bit of slapstick comedy via non-lethal shotgun shells. If True Detective season three featuring Bert and Ernie doesn’t happen, this will do.